Product Details-Ingredients-Dried sea weeds, natural minerals. Feeding Directions-Mix through food. Use-Sea algae meal for healthy skin and hair coat. Suitable-Dog, Cat, Ferret, Rat, Mice, and Love birds Quantity-500 Gm granule pack. 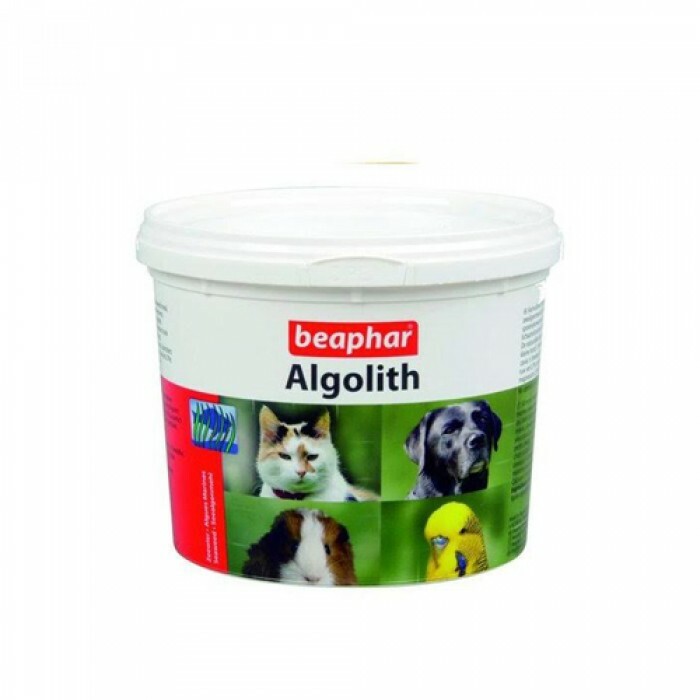 Product Information-Algolith is a natural sea algae meal, made by fastidious preparation methods and can be used for dogs, cats, birds and small animals. It contains a relatively high percentage of trace elements (e.g. Iodine) and vitamins Algolith is a natural sea algae meal, made by fastidious preparation methods for dogs, cats, birds and small animals. It contains a relatively high percentage of trace elements (e.g. lodine) and vitamins and therefore has a very favorable action on all body functions. Algolith strengthens the natural color of the coat, feathers, eyes and nose and ensures a healthy, glossy coat-plumage. It contains a relatively high percentage of trace elements (e.g. Iodine) and vitamins and therefore has a very favorable action on all body functions. Features -Algolith is a natural sea algae meal, made by fastidious preparation methods and can be used for dogs, cats, birds and small animals. 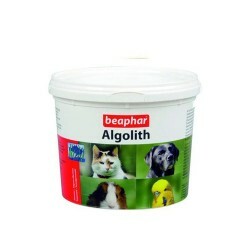 Algolith strengthens the natural color of the coat, feathers, eyes and nose and ensures a healthy, glossy coat-plumage.